Fabrication of nanocrystalline cellulose/graphene oxide composite structured films for application in flexible energy storage, optoelectronic, spinitronic and electronic devices. Material science; nanomaterial synthesis and fabrication. 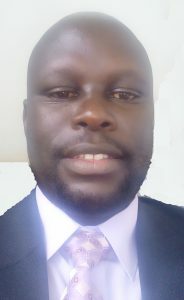 2008 May – Dec 2009 MSc Thesis Dissertation “Isolation and Structure Elucidation of Larvicidal Compounds from Laggera Alata and Clausena anisata Against anopheles gambiae s.s. at KEMRI, Kenya under supervision of Dr. Vulule JM. 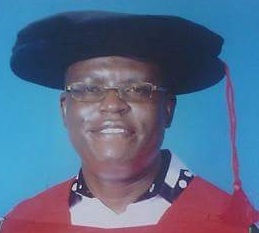 (KEMRI) and Prof. Matasyoh J. (Egerton University). 2008 Mar – April 2008 Carried out a research work that evaluated the “Chemical Composition and Antimicrobial Activity of Cympogon Citratus Oils” at Egerton University, Chemistry Department under the supervision of Prof. Matasyoh J. 2008 Jan – Feb 2008 Carried out research work on “Wheat straw as biosorbent of heavy metals” for seminar presentation at Egerton University, Chemistry Department under the supervision of Dr. Nguta CM. 2000 Jan – Aug 2000 Honours Project: Speciation of heavy metals from Jua Kali sites in Nakuru, town, Kenya, Supervised by Dr. Ongoma OP. Global Challenges Research Fund Networking Grant, Academy of Medical Sciences, UK, Amount Kshs. 3378821.67 (Equivalent of 24, 150 British pounds), 2018.